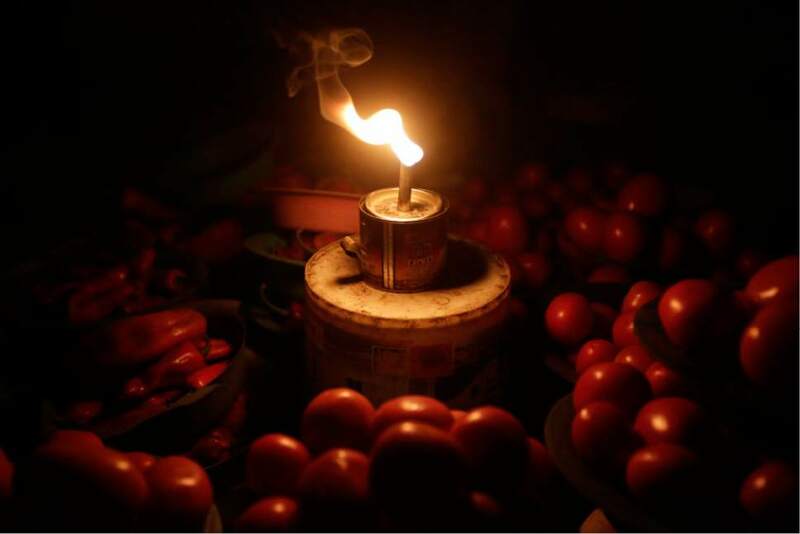 JOHANNESBURG, SOUTH AFRICA (AP) The surprise was finding that people dependent on candles, batteries, kerosene and fuel for generators in countries without a secure supply of electricity spend more on power than solar options. The founders of Dutch company Lumos knew they could do better. In Nigeria, for the cost of powering a small generator for two hours they offer enough solar power to light a house, cool a room with a fan and charge cell phones for about eight hours. Customers can even watch TV for a few hours. For Nigerian government clerk Sandra Besong, it means her three children aged 8 to 17 can study and read at night. "Before, I was using a local lamp with kerosene, but the flame wasn't bright enough for the children to read," she said in a telephone interview from her home in Masaka, in central Nasarawa state. "We love the light!" she said. "The children appreciate it because they can read, watch TV, and they can use fans, so they are not hot. And there's none of the noise and fumes from a generator." Fans are important in Nigeria, where temperatures average 30 degrees Celsius (86 degrees Fahrenheit). Besong said she's also saving money. Powering a small generator for two or three hours a day cost her up to 7,000 naira ($23) a month, compared to 4,500 ($15) for solar, which provides double the time. She pays her bills through her cellphone. Development across Africa is hampered by a lack of electricity. In 2015, 621 million people in sub-Saharan Africa — or two out of three — lacked access to power, and the numbers are growing, according to a report by the Africa Progress Panel. "It would take the average Tanzanian eight years to use as much electricity as the average American consumes in a single month," it said in a report . Nigeria is worst of all. Just 25 percent of its 170 million people have access to regular electricity, and the West African nation has the highest outage rate on the continent, 32 a month averaging eight hours each, according to the Overseas Private Investment Corp ., the U.S. government's independent investment agency. Such figures inspired former U.S. President Barack Obama to create Power Africa, bringing together technical and legal experts, the private sector and governments. Power Africa provided financial assistance to Lumos to produce the solar kits, which it provides to clients on a five-year subscription. A $50 million low-cost loan from OPIC and $40 million in equity will help fund another 200,000 solar kits to bring power to 1 million Nigerians by year's end, said Yuri Tsitrinbaum, CEO of Lumos Nigeria. Lumos began selling solar kits in Nigeria in May 2014. The company, which has 30,000 customers in central Nigeria, launched nationwide this week. Firefighter Ibrahim Momoh-Bekisu turned to solar fearing for his family's safety. "Do you know how many families' lives have been destroyed because of fires caused by candles, kerosene, electrical fires?" he asked in a telephone interview from his home in Abuja, Nigeria's capital. Momoh-Bekisu said his neighbors battling with darkness are now interested in getting solar power: "Their children come to my flat to come and study and watch TV." Most importantly, "For me, this (solar power) is a life-prolonging issue, it contributes to life expectancy," he said in a country where the average person dies at 52 compared to a global average of 71 years, according to U.N. figures.